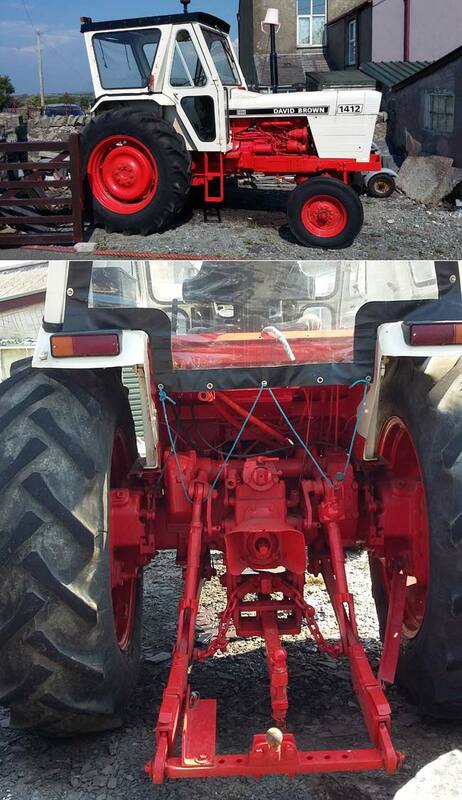 David Brown 1412 tractor, this tractor has been stripped down and sandblasted and given four coats of paint by a professional, to last many years to come, also been re wired in parts and extra lights fitted. The tractor starts first time everthing working as it should, its also had a new exhaust new back roll up window, hydraulics in working order, its a 1976 model road is tax free, and is a very high tractor ideal to launch boats at stage of any tides. It is located in Abersoch and is ideal for launching boats. 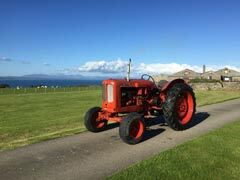 It is in good condition, it has had a new battery, starter, alternator, steering box, brakes and the fuel tank refurbished. It is road tax exempt and very low insurance. It can be seen in action in the latest Abersoch magazine! Its reduced to £1300 (was £1800) and contact Mark on 07976341802.